Like a lot of people, in January when I suddenly developed a high fever (101 F), body aches, fatigue, nasal congestion and cough, I thought for sure it was influenza, which I had not experienced for decades. Turns out, according to a recently released CDC report, in the 2016-2017 flu season the odds are only about one in 10 that flu like illness symptoms are, in fact, caused by type A or B influenza. The influenza strains included in this year’s flu vaccine are closely matched to the most prevalent influenza strains reported to be circulating in the U.S. Out of 484 different influenza viruses the CDC tested, 96 to 100 percent of influenza A viruses and 91 to 100 percent of influenza B viruses were antigenically similar to components of the 2016/2017 influenza vaccine. The old news is that, even when this year’s seasonal flu shot contains the same influenza strains that are circulating - like in most years2 - it is less than 50 percent effective across all age groups in preventing a trip to the doctor’s office for lab confirmed influenza. The vaccine is only 43 percent effective in preventing influenza A (H3N2), the most prevalent strain this year. How many people following doctors’ orders and rolling up their sleeves to get an annual flu shot this year understand it has a 67 percent failure rate for the most common influenza strain circulating? That is like telling someone to buy a car with seat belts that fail 67 percent of the time! But, beyond that, how many people understand that only 10 percent of all flu-like illness out there this year is actually influenza? There are no guarantees in life. That goes for vaccination, too. Plus, you can get a flu shot and still get infected with influenza but only have minor symptoms or no symptoms at all.13 Even if you have been vaccinated, you can be a silent carrier of influenza and infect other people without even knowing it. This is something to keep in mind when you are in a doctor’s office or hospital, where all employees have been vaccinated and assume they are protected, but where influenza could still be circulating among the staff. But perhaps the biggest misconception of all is that during the flu season, every time you get a fever, headache, sore throat, cough, and a tired, achy feeling all over, you probably have influenza that could have been prevented with a flu shot. When beliefs about vaccine effectiveness are not grounded in truth, they can put you, your family and people you know at risk. Whether you have been vaccinated or not, if you have even mild symptoms of being sick, stay away from close contact with infants, pregnant women and people who are immune compromised until you are well. 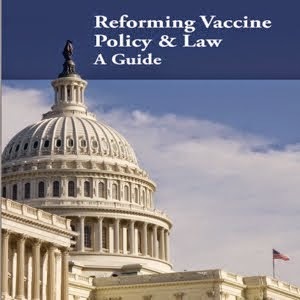 At NVIC.org, learn more about vaccines, diseases and the human right to informed consent to medical risk taking. We hope you will explore our Ask 8 Questions webpage, which is a good first step in the vaccine decision-making process. As you begin to ask these questions, please continue to empower yourself by visiting Diseases and Vaccines and Know the Risks & Failures webpages. This section of our website will direct you to referenced information and a variety of materials designed to educate you about vaccines, diseases and how to make informed vaccination choices. You can download posters and brochures to share with others or send an ecard to family and friends. 1 CDC. Update: Influenza Activity – United States, October 2, 2016 – February 4, 2017.MMWR Feb. 17, 2017; 66(6): 159-166. 2 CDC. Seasonal Influenza Vaccine Effectiveness 2005-2015. Dec. 18, 2015. 3 Fisher BL. Pertussis Microbe Outsmarts the Vaccines As Experts Argue About Why. NVIC Newsletter Mar. 27, 2016. 4 Agency for Healthcare Research and Quality. Influenza Most Deadly for the Very Elderly. AHRQ Press Release Nov. 7, 2006. 5 CDC. Prevention and Control of Influenza with Vaccines: Recommendations of the Advisory Committee on Immunization Practices (ACIP) – United States, 2016-2017 Influenza Season. MMWR Aug. 26, 2016; 65(5): 1-54. 6 CDC. Guidelines for Vaccinating Pregnant Women. August 2016. 7 Fisher BL. 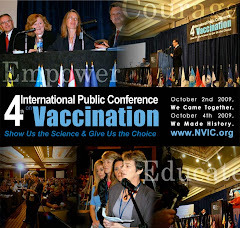 Vaccination During Pregnancy: Is It Safe?NVIC Newsletter Nov. 9, 2013. 8 Fisher BL. Women, Vaccines and Bodily Integrity. NVIC Newsletter Jan. 24, 2013. 9 DeSerres G, Skowronski DM, War BJ et al. Influenza Vaccination of Healthcare Workers: Critical Analysis of the Evidence for Patient Benefit Underpinning Policies of Enforcement.PLOS One Jan. 27, 2017. 10 Lin RG, Xia R. Vaccines required for daycare workers under new California law.Los Angeles Times Oct. 13, 2015. 11 Fisher BL. CDC Admits Flu Shots Are Effective Half the Time. NVIC Newsletter Apr. 26, 2017. 12 Fisher BL. Flu Vaccine: Missing the Mark. The Vaccine Reaction Spring 2004. 13 The Lancet. Three-quarters of people with seasonal and pandemic flu have no symptoms.Eurekaalert Mar. 16, 2014. 14 CDC. Update: Influenza Activity – United States, October 4, 2015 – February 6, 2016.MMWR Feb. 19, 2016; 65(6): 146-153. 15 CDC. Influenza Activity – United States, 2014-2015 Season and Composition of 2015-2016 Influenza Vaccine.MMWR June 5, 2015; 64(21): 583-590.